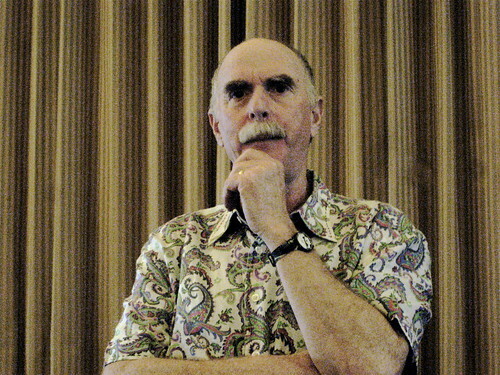 Dean, Rob, Rick, and I had the privilege of speaking with Howard Rheingold for our latest podcast. In this podcast we discussed “twitter, community, and the challenges of creating inquiry-based learning”. It was a great conversation where I think we all learned and reflected quite a bit, and I hope you enjoy. The Edtech Posse recorded the latest, extremely raw, podcast in the ambiance that is Winston’s Pub in Saskatoon. What did we talk about? I guess you’ll have to listen to find out. Voices include: Myself, Rob Wall, Rick Schwier, Dean Shareski, Clarence Fisher, Kyle Lichtenwald, Kathy Cassidy, Dean Loberg … several others (sorry if I missed you, please let me know). Edtech Posse Podcast 5.2 – Talking ’bout Stuff Live! The latest Edtech Posse Podcast is up. This was a live podcast with Dean Shareski, Rob Wall, Rick Schwier, and myself. We started talking about Twitter, and then meandered into a number of random topics. Thanks everyone for participating and listening. Members of the Edtech Posse (Dean, Rick, and I) had the great pleasure of chatting with the brilliant Dr. Michael Geist last night. 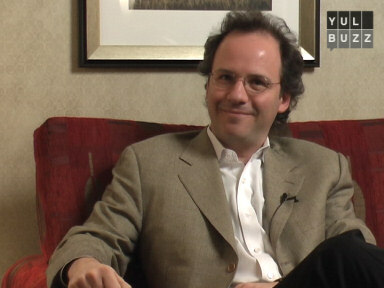 Dr. Geist is a Professor at the University of Ottawa and is Canada’s leading legal expert on Copyright law. It was a terrific conversation with a lot of information regarding current copyright/copyleft law as it applies to education. While much of the conversation covered the Canadian context, I believe that there is much here that will appeal to international listeners as well. Thanks to Rob Wall who edited the audio, but unfortunately could not join us in the conversation. Heather Ross, our other Posse member, was also unable to attend. I had to miss this conversation as I was disconnected myself. Thanks to Rob for getting this up so quickly. The latest Edtech Posse podcast has been released. The conversation provides thoughts on the recent TLT conference and edupunk. Dean Shareski, Rob Wall, and Rick Schwier were present. Heather and I were unable to make it. More information and shownotes can be found at edtechposse.ca. We were privileged to have had David Jakes as our guest on the last Edtech Posse podcast. After a bit of a delay, Rob Wall has masterfully edited and published the conversation. Dean Shareski has posted more details of the conversation including show notes. I had connection problems that night so I only made a brief appearance, but the conversation was great and I am glad I get to finally hear it. Thanks to David and the Edtech Posse. I can’t wait until the next conversation. Rob has uploaded our latest Edtech Posse Podcast. This time, we were lucky enough to have a conversation with Bud Hunt. Bud Hunt sat in with us a little while ago. We had a great chat including some discussion of the relationship of optimum podcast length to commute time, educational technologists as change agents and comparing the issues around educational technology in Canada and the United States. We also give you another chance to win one of the coveted EdTech Posse coffee mugs! Listen for more details! For more Edtech Posse Podcasts, join us or subscribe to us at edtechposse.ca.